Halloween 2’s Danielle Harris, Matt Bush and 'Michael Myers' himself Tyler Mane. 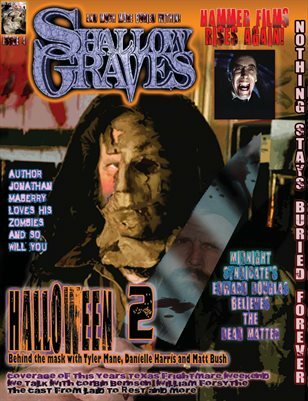 Author Jonathan Maberry’s “Patient Zero” Hammer Films CEO Simon Oakes Midnight Syndicate creator Edward Douglas’ new movie “The Dead Matter” Coverage of Texas Frightmare Weekend Cemetery Print's Sid Graves shows us there's still beauty in death. As well as Haunts, Original Short Stories, Legends, Myths and much, much more buried within!